This is an FM/UHF distribution amplifier for small domestic systems. 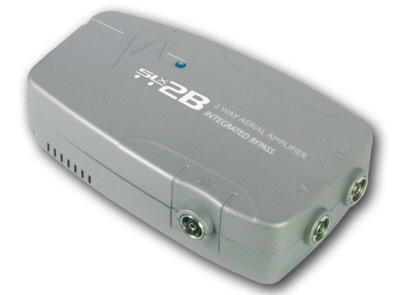 It features high gain, exceptional output capability and separate FM/UHF aerial input sockets. These inputs are combined and distributed to all outputs. Where any of these outlets are intended for a TV and radio, it is recommended that you use a diplexing outlet. The amplifier also features an automatic line-power facility which will deliver 12Vdc to the UHF input when it detects the presence of a masthead amplifier.